NeoGAF user Khrno says he spotted this beast at the British department store Peter Jones. It's simultaneously wonderful and horrifying. That's all Nintendo hardware. 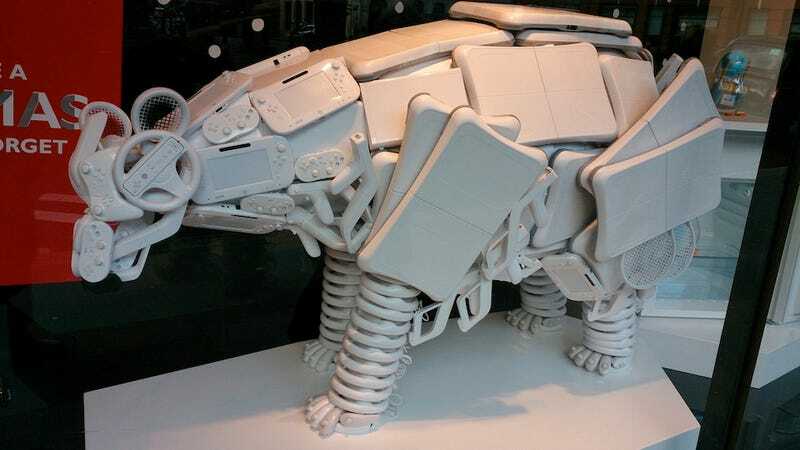 The bulk of the body appears to be made out of Wii Fit balance boards and Wii U GamePads. The legs are made out of the Wii steering wheel accessories. And look at the little toes—they're Wii Nunchuks. I guess this is certainly one way to use all of your leftover Nintendo stock.